Education is not a sprint . It's marathon without a finish line. Although this chapter is written retrospectively, i will try to express my expectations towards the ProPIC Intensive Course I. Also I will document if my expectations were met, theme by theme, and give reason in case they had been disappointed. After having worked my way through the e-portfolio's tutorial (IT02) I sensed a bit of grief without getting the clue, where to find its cause. I reflected upon this of cause. I became aware that an e-portfolio is not much more than a diary. Of course this afflicted me, when I remember what kind of kids in my cohort said that they were writing a diary. Generally it were those kids deemed to be loners, losers, squares which did not team up with other kids. In short, those who regularly failed to bring their gym bag to physical education. Nobody liked them. It was assumed that they wrote diaries, in stead of changing their conduct, as a sort of psychotherapy for not being accepted by the majority of the class. In that case, introducing e-portfolios in German classrooms might help integrating the gym-bag miss outs into their peer group. I remember that working with analogue portfolios some time ago was a big hype. One of my colleagues, therefore, based his master thesis on them. He had to change his topic of his thesis, because the outcome of this study could have been written down in one paragraph: They did not found their way into German classrooms. I guess that they engendered a great deal too much effort for too little result. That is why they have been banned unnoticed from classrooms by a bottom-up process. No we have got us ourselves a new hype, which in my opinion is bound to fail as well: e-porfolios. Let me explain this with a small anecdote by a German comedian Dieter Nuhr. The term "maladjusted" (verhaltensgestört) to denominate asocial pupils in schools was converted to "pupils who display behavioral problems" (verhaltensauffällig) and finally to "pupils who are behavioral unique" (verhaltensoriginell), whereby the underlying problem, which implies that those brats are to be educated, ceased to exist. In the case of portfolios, which had been abandoned from classrooms by a bottom-up process, the "e-" changed everything. Or does it not? The above mentioned disadvantages came along with the requirement that the affected persons now have to deal as well with technical issues (see sub-page Evolution). I have been often distracted from the content of this e-porfolio, because I had to deal with technical difficulties. E-portfolios, as far as I understood, should give evidence of a learner's progress. They should indicate if a learner made the desired progress or not. In the second case they should give hints to why a learner failed to make progress. Taking into consideration that learners and teachers have to spend a lot of time with in creating and evaluating e-porfolios, it is no wonder that they disappeared unnoticed from our classrooms. Especially when taking into consideration that there is an antique method, which does not only comply with the demand for giving learn evidence, but which also presents another opportunity to provide a learner with a focus phase. This method does not require too much effort from both educator and learner and is less time-consuming: Homework. If applied correctly, homework is more efficient than an e-porfolio.. According to teaching personal, I guess that they are reflective enough to live without an educator's e-portfolio. I am not convinced about its psychotherapeutic effect. After reading the course description in Univis, I inferred that the main focus would be on finding and using multimodal and digital tools to improve teaching in modern classrooms. Retrospectively I know now, that this will be rather the case according to the demanded research project. The main focus will be on Continuing Professional Development, in short CPD. Even though, the focus shifted somewhat, this term transpired everywhere throughout the entire intensive course. We came up with the terms indicated in the next image. The closest hit was, that teachers should be ready for innovations and should constantly be reflective on themselves and should evaluate their own classes. At least there was a hidden hint towards a concept, which came up some time later called Reflectional Practice (RP); a prerequisite for CPD. Maybe it was too obvious that teachers are learners themselves and have to improve their teaching methods, skills and their own personality. During the Study course 1 I mistakenly memorized that CPD is an acronym for Continuing Professional Development until I came across slide no. 3 again, which pointed the term "collaborative" out to me again. Thus, the C in CPD could be interpreted in two ways: C= Continuing; C=Collaborative. In that case I could explain my confusion, since teaming-up or collaboration has obviously become a rare commodity at the Romance Department of the University of Kiel. Previously I thought that the lack of collaboration had something to do with my personality, but it already happened in three courses, when the lecturer asked for participants who were interested in teaming-up. I am now used to the fact that it will be only me who is willing to team-up with others. I do not know whether the distorted face of the respective lecturer indicated astonishment or disappointment or both, when finding out that collaboration is not appreciated anymore. It is sufficient to have a look at the research projects. In the case of the University of Karlsruhe most of the research projects involve teams, whilst the research projects of the University of Kiel involve only one person. The cry for collaboration, in my opinion, could not be loud enough. I am afraid, though, that my coeds missed out on the term collaboration as well, when considering whether the introduction video for the Study Week could be easier created as team-work or not. Excuses were found for not teaming-up. It is a pity, especially considering that moments before the entire course, after evaluating the example video for CPD-Model case 4 (see beyond), agreed upon that this model would be an ideal one for schools, although it would depend on the individual school's culture. We came across that some schools appreciate teamwork a lot, that teachers of other schools appreciate the existence of mavericks and that some schools established a dog-eat-dog culture. In the last two cases the study course agreed that it will be our task in the near future to establish the Collaborative CPD Model at schools, maybe by finding like minded people within the school's staff. Unfortunately, being collaborative means obviously being collaborative in the future and not at Kiel's University. Before even coming up with a definition of CPD, we were presented with a video from the web-page https://www.teachingchannel.org which might be a good source for our own CPD. This video could be used as an example for RP, where teachers, awarded with the U.S. title "National Teacher of the Year", reflected on their personal growth as teaching professionals. First, they gave reasons for the necessity of CPD, which could be resumed as follows: A teacher has to get better, because he will always face different students, he will be confronted by new challenges every day, he has to find out how the students "tick" to move them and because a teacher's work is never done. Second, three examples were given by Michelle Shearer and Kim Oliver Burning on how to achieve professional growth (in my opinion a less precise term for CPD): Teachers can grow either on their own account by diagnosing their students, lessons and themselves as prescription for research (a hint to the Action Research Model) or by joining forces with other teachers (a hint to one of the Collaborative Models). Teacher of the Year Kim Oliver Burning addressed that she diagnoses her lessons and starts researching, especially when she notices that her students do not make any progress. In this case she applies the Deficit Model only on a voluntary basis, as a bottom-up process so to say. - "A lifelong, systematic and planned process to maintain and develop professional competence, creativity and innovation." - "Learning activity which maintains, develops or increases knowledge, technical skills, problem- solving." - "Continuing professional development helps [sic] ensure your skills and knowledge are up to date. This definition suits me in a better way than those definitions presented on slide no. 22 during the course. The evaluation of a lesson is based on facts and therefore more objective and unemotional. It encourages dialogues between educators. You can illustrate points to other educators. It helps the teacher to become aware of how the talking time was distributed (teacher talk vs. student talk). You can record and analyze the interaction between the students. The mayor advantage is that no extra staff members are required during the lesson. One disadvantage is that here in Germany you can not run around in class recording your students. Some legal issues will have be settled in advance. Can this tool be used to foster a class's discipline or will it distress students because of feeling constantly surveilled? Maybe I am going to ask this at the University of Newcastle if the topic comes up. case 1: an example of CPD: - Have you already come across facets of CPD in your own studies or practical internships? In my case I can remember visiting a Spanish lesson on grammar. A cloze was implied and the class became pretty noisy and stirred during the consolidation/incorporation phase. The students were asking the teacher and their coeds over and over again for the correct solutions in a more and more distressed manner, whilst other students were already packing their utensils for leaving the class. I reflected on this situation some time later and came across the obvious idea not to only communicate verbally the solutions but put them down in a written form. I had to teach this as class as well. Instead of writing down the solutions myself, I made the respective students put them down with a non-permanent marker on an overhead projector's foil which contained an previously imprinted cloze. I have to admit that this engenders more work. Our lecturer off the ProPIC Study course I came up with an anecdote of one of her teaching experiences, which was recorded. It was a lesson on Spanish grammar which was teacher fronted. The students did not came up with a solution. Thus, our lecturer pondered on the class leader for coming up with one. Even though he was not capable to come up with a possible solution, she kept pondering on him. Our lecturer admitted that this must have been torture for the class leader. Of course to my coeds it was pretty obvious that it was torture and that our lecturer should have stopped pondering on him, shifting the task back to the class or come up with the solution herself. It seems that in both cases above the solutions for preventing these incidents were pretty obvious. But, and this is a big "but" in my opinion there is a difference between being a participant of an incident or being a neutral observer. A teacher can only be a good educator if the framework conditions he is working are good as well. If you do not provide a craftsman with good tools, he simply can not do his job correctly. I think the first two points do not require an explanation. In case of point two the keyword at the moment is "inclusion". Politicians demand that disabled students and students, whose linguistic competence according to the German language is pretty poor, should be integrated in regular classes. In the first case it was prescribed that the affected students are accompanied by a trained mentor and a second teacher should be available. Neither the increased personal expenditure is being taken account of nor is the increased effort by the remunerated. Especially here in Schleswig-Holstein a certain Ministerpresident ensured that the profession of teachers has been devalued, by stating and restating that teachers are only aborted scientist and that there is no reason to grant them a civil servant status. This statement went viral of course. Many novice teachers from then on were hired as normal employees with a 1/3 decrease of their salaries towards teachers with a civil servant status. Berlin in its role as federal state even had the bright idea of firing the effected teachers before the summer holiday granting them the status of being in welfare. With that the social reputation of teachers has been damaged severely. Teachers have to "invest" part of their leisure time, additional to their duties and without being remunerated. If an educator participates in a training course which takes place in the morning, he/she has to procure that his classes are taught either by another teacher, who has to sacrifice his/her free periods or by preparing lessons in advance which are executable without a teacher; involving extra work of course. In my opinion an impudence even unprecedented by the free economy, where the time spend on further education will be deducted from the working time or will be extra remunerated; expenses will be reimbursed. In case of slides no. 29, 30, 31 I can say that the recommendations are to good to be true. I would like to act in the future according to these recommendations, if the framework conditions, already mentioned in the chapter Slide 25 Incision are adjusted to the demands of CPD. During the ProPIC Study Course I every student had to read upon one of the models and explain it to a coed. I pretty remember that model, i.e. the deficit model, on which I read upon. That kind of pair practice help me only to better remember the deficit model. I was not able to memorize the model I was told about by the respective coed. Since I already came across this task in another course, I suspected that this kind of teaching method would not be successful. Latter was confirmed when we tried to evoke these models as a warm up the next day. Most of the coeds resumed the model they have read upon themselves the day before, which supports a bit my suspicion that this method does not work out pretty well. Therefore, I had to read upon all the models myself. In my opinion all these models are useful, except the award bearing one, whose definition I do not understand. Unfortunately, an internet based research on this term led me back to Kennedy. model, since the next graphic is sufficiently self-explanatory. on the right. Not every research cycle takes data collection into consideration. This is when VEO comes in handy. It can be applied for all CPD models. I liked the "Teacher Lab" presented on slide n° 37, which could be classified as community of practice, even thought I doubted during the study course that these communities exist anyway. One of the coeds said, that it is up to us to introduce such a community into our future; keyword framework conditions. 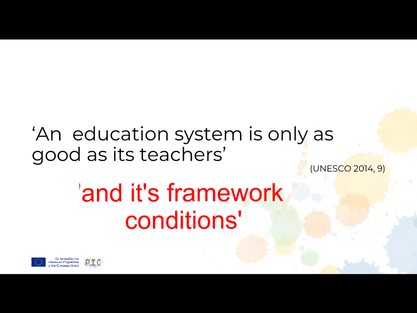 in one single point - the framework conditions of the German educational system. At least https://padlet.com/ seems to be a nice tool for brainstorming in the classes. According to the reflective tools, slide n° 55, I would add the classical PMI and the teacher's brain. 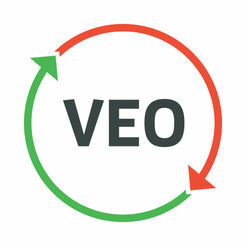 In my opinion VEO is the best and only choice, because its recording and tag-set function is a combination of most of the recommended tools. Portfolios require too much effort for too less result. Since my Study week took place in NCL and we met on of the inventors of this concept, i.e. Steve Walsh in persona, this chapter deserves its own title. Yap, that is him. The charismatic guy in front of the panel. I guess that I was there, too. We should have recorded this session. At least we should have asked him to let us have his presentation. The drift of his presentation was, that RP implies dialogue; self-dialogue or dialogue with like minded people. In case of dialogue with like-minded people all social media platforms might come in handy, and in case of self-dialogue analogue or e-portfolios might be the correct choice. Steve Walsh spew out many information, which taken individually were already useful. He was the one, who said that "research is based on data". Until today (09-25-2018) I did not get the clue how this individual information bits were related. All the hints were already there: teacher educator, teacher trainee, SETT (Self Evaluation of Teacher Talk + Key), POC (Post observation conference) etc. I guess that Steve Walsh in his role as Director of Teacher Education had enough experience with tagging sheets and those transcriptions which are a combination of graphs and suprasegmentals of the IPA. He said that he hates tagging sheets. His favorite tool is pf course VEO. The lesson given by the PST is followed by the POC, which reminds me on the coaching/ mentoring CPD-model and is dialogic of course. Student teacher: "I think the most uncomfortable thing is, when you're criticized by the tutor but it's also the most useful thing, I've got to say. I mean you might not like it while it's actually happening but when you go back and kind of reflect on it you learn." Tutor: My function is to encourage them to make comments on each other and reflect on their own lessons erm (.) and also to give my own appraisal of what they have done. Steve Walsh recommended as well to ask for the feedback of the class's students. Here TAP comes in handy. Which is dialogic as well according to what happened at the end of the ProPIC's Study Course I. What are the advantages of dialogic Reflection? Highlights professional development as a social process involving dialogue. Dialogue is key: almost any learning involves language and interaction. New understandings don't just happen, they are emergent and often co-constructed. New understandings are publicly derived and privately internalised. Collaboration is key: analysis is easier when done with someone else (Larrivee 2000). All I could add to the VEO Tutorial an instruction is, that Paul Seedhouse mentioned that they plan to create an Android based version, which will settle the Apple issue, mentioned in the sub-page of the research project. Buying products from Apple? - No way! Unless, the tax and revenue office will grant me the same tax rate, i.e. 0,005%. Of course I bothered to work on the VEO tutorial and I screwed around with it a lot in NCL, where this chicken was hatched. This time I can give real learn evidence. Here is a picture of my tag-set. This tag-set analyses code switching in language classes (CS) according to different aspects. On the left side CS could be tagged when the teacher (T) switches code. On the right side when the students switch code (S). On both sides it is possible to deem the code switching as intentional and unintentional. When hitting the intentional buttons a drop-down menu will appear, which suggests reasons for intentional code switching. a course which was about diagnostics in school contexts. Therefore, I do not have any clue about what could be analyzed, except how often the teacher performs the pick, roll and flick procedure in class ;-). According to slide n° 69 I could say that VEO is already the most iconic tool. There is not only the application for tablet computers but a whole platform which offers data exchange and feedback. One will come across as well on standardized prefabricated tag-sets, which one could adopt. The recordings could only be shared in groups, to which one has to be member before commenting on anything. The CPD tutorial is the thread of the whole ProPIC concept. That one was already treated during Course I.
I hope that this e-portfolio, which you are reading at the moment, indicates that I bothered to work my way through it. VEO was already treated and was a prerequisite for the NCL group to creat a tag-set. Since the concept for the "innovative tools" from the tutorial 5 appear as well like a thread through both courses, i.e. Course I and Study week, I will treat them in the section "Conclusion". Tutorial 7 deals with the research project. I dealt with that, but then concluded that the classical thesis paper suited me best for the presentation of my research project (see sub-page research project). Then, I edited it with the help of multimodal formats. Pertaining to the Video Production tutorial, I have to add that one important issue was left out, i.e. one issue that was taught during a course I took part in, because I was simply interested: TV Journalism. This course was designed for CAU students who studied politics, but was opened for all others. The tutor of this course was one of the responsible editors of the Schleswig-Holstein Magazine. He said, that before starting a video project at all, it has to be insured that a topic can be illustrated decently and appropriately by video. This is why I decided against editing my research project in a video format. My introduction video on slack will hopefully give proof enough that I cared about this tutorial. All I have learned from it, that a semi-professional production requires semi-professional tools, which will cost around EUR 5000. Then, you do not have to struggle with technical issues, which distract the producers continually from the intended contents. I learned as well that you better not switch code on purpose to pronounce the name of the "Christian Albrechts Universität zu Kiel" correctly. This, and being disturbed continuously by some tourists and technical issues distracted me from talking correctly. I learned as well that I have to over-pronounce because of the ambient noise. Pertaining to the Interactive Tutorial I and its tasks, which should be integrated in the e-portfolio I do not understand the reason for the debate, which once already took place and was concluded by science, when coming across that children watch "too much" TV and that some children seem to get smarter and more educated, whilst others remained "stupid". The clue was, that it was a matter of selection. The smarter kids selected programs and TV formats, which rendered them even smarter, whereas the not so gifted kids selected programs and TV formats that did not contribute to their educational development. It is most intriguing that it was Prof. Dr. Dr. Manfred Spitzer, who presented the result of the study. Nowadays, he is speaking about digital dementia. Unfortunately, I am not able to find this episode of the series "Geist and Gehirn" anymore to give proof to this study. It is possible that it was removed from the internet to maybe avoid contradiction to his current policy. Therefore, I am convinced that it is a matter of selection when we come across using mobile devices and apps in the school contexts. Furthermore, I do not wonder myself about the disagreement between Prensky and Bennet. Prensky's style of talking appeared to me a bit as if he wants to sell IT products. Ha has an MBA from Harvard Business school. His teaching activity seems to be a remedy from his far away past. Whereas Bennets discourse implies the well known Konstruktivistische Erkenntnistheorie, which recognizes as well that students appear at school with no, little or good previous knowledge towards certain topics. I am convinced that this theory is still valid according to interaction with mobile devices. I am a digital immigrant of course, who has decided not to study IT technology and who misused this technology for gaming purposes. One of my best friends is a digital immigrant as well. He in contrary was the one, who wanted to figure out, how this IT stuffs actually works. Now he is one of the best system admins working for Strato. He never went to a University for studying IT. He spent a lot of time on self-education, who started with a DX 286 machine with DOS 3.2. He is one of the first nerds (this term even was not invented back then). So, show me this digital native who because only by being surrounded by technology is able to keep up with him. I myself selected wrong using this gadget mainly for entertaining purposes. Like I said, it is a matter of selection on what to do with these tools. This is what really makes the difference between skilled users and those who only tap with their fingers on their iPads, without bothering to much how this technology works anyway. Sam and Flynn would be the digital immigrants here. Unfortunately, they are all fictional. As fictional as the myth about digital natives, who were born and do not have to put nil effort in learning on how to use mobile devices and its apps. Which digital tools can be used for RP, CPD and for teaching lessons at school? When considering the collaborative part of RP and CPD, especially in Steve Walsh dialogic format, every social media platform might be useful; finally well thought out. It does not matter if one uses IRC, Newsgroups or create an avatar, who is meeting other like minded ones in Second Life. The result will be the same. Similiar to the recent results about the "Fiebelmethode" the above mentioned tools have to prove their additional benefit toward conventional and much more tested methods. The modern text books, which as well come along with prefabricated multimodal suggestions for lessons will be tough opponents in this matter. By the way, it came up during the the Study course I that older teachers are not inclined to change their methods. Why should they, if they are successful with their methods? Never change a running system! You will risk to make it worse! All the other tools seem to be designed for other purposes. I guess, that the survey tools were composed for economic or political purposes; i.e for marketing or for political polls, whereas other tools like crosswords may be designed for entertainment. Fortunately, some of the ProPIC research projects are designed to target the question on which circumstances they might be useful for educational purposes. + Course design and contents are often more intriguing than "by-the-book" courses. + Might be useful for the career to have such courses in ones personal portfolio. + There might be certain prestige involved in participating in something new, which deserves being sponsored by EU. " I am part of an EU wide project and belong to the first cohort. + Visiting another University, NCL and other students is very enlightening. ​- Too much sacrifices had to be made for an uncertain outcome: 1. Missing out on the Tour de France, Vuelta a España and a splendid cycling season, which would have been idea to expand stamina and leg muscles. On the contrary now my leg muscles are nicely de- composed. 2. I put down my mates from the SSK for not being able to attend the Tag des Sports (to participate there was my idea). - Too high workload in a too short period of time. - My balance of being successful in intensive courses is 40/60 only. - Creativity at the touch of a button is required. Sorry. I cannot come up with bright ideas, when they are required. These only come up coincidentally and spontaneously, when they want to. - Although there is a refund, I will have spent a lot of extra cash on this project. I know that I will angry about myself for being stupid again to engage myself in such a project. Especially if all the effort and money spent would be in vane, i.e. no or too less study credits. At the moment I guess that this will happen. Ausser Spesen nichts gewesen. - The knowledge that the group from Karlsruhe was granted the whole next semester to conclude their research project. 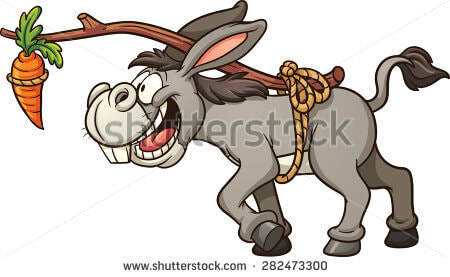 This is what an PMI basically looks like. Unfortunately, there as many negative points as positive ones. Therefore, it is necessary to asses these points. The utmost decisive point when considering a professional career and what all other points have in common is the success issue. Therefore, one has to ask itself which conditions lead to the mentioned 50/50 balance. I successfully crash-coursed psychology an advanced seminar in English literature. I failed crashing the Latin grammar course, the Latin lecture course and an advanced intensive course cultural studies. In case of Latin the work load was too much in a too short period of time and I lost the thread. In case of cultural studies I failed in having a decent idea for the seminar work. Hence, the question arises: Why were those intensive courses in psychology and English literature successful? - Now it is simple: It was the previous knowledge which suited exactly the requirements for these successful intensive courses [Konstruktivistische Erkenntnistheorie ;-)]. In psychology I learned about things, which I already knew, and in English literature the workload in my case was limited because we treated Ivanhoe and Mary Shelly's Frankenstein already in school. !!! In the future I will have to assess in advance, i.e. before enrolling in an intensive course again, therefore my previous knowledge, no matter how intriguing and enticing the course description might be. !! !